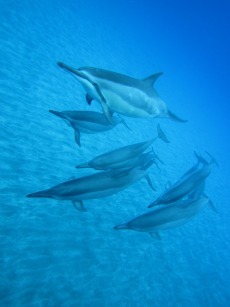 Receive your gift of four photographs of my friends, the Hawaii spinner dolphins. 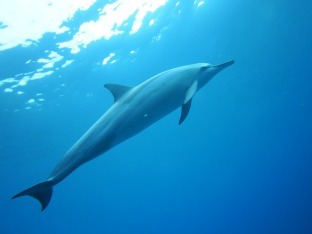 These are photographs taken by my husband while we swam in in Hawaii’s coastal waters. Spinners rest during the day, in the sheltered bays of the Hawaiian Islands. 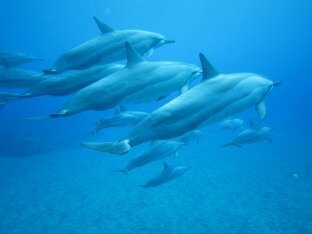 If the dolphins choose, they surround human swimmers who share their watery home. 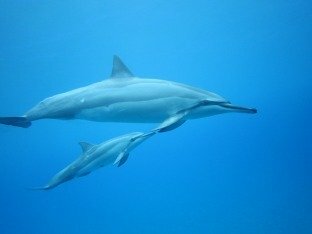 The dolphins are attracted to humans with peaceful, loving hearts. * Receive occasional emails with inspiring, supportive messages from dolphins, whales and Ascended Masters. * Be the first to be informed of new products, educational programs and other services that support you in your personal and spiritual growth.